About | Save Our Strays Inc.
Save Our Strays, Inc. was incorporated in the fall of 1994. We are an all volunteer organization that cares for approximately 600 cats every year. We are a non-profit organization with a 501 (c) (3) designation. For more information, follow the links on this page to view our charitable registrations. Save Our Strays became unique in Pinellas County as the only all volunteer organization which, as part of its mission, would accept every stray cat or kitten that needed help IF THERE WAS SPACE IN A FOSTER HOME without prejudice to age, appearance, or health. The cat must reside in Pinellas County. We simply do not have enough foster homes to care for cats from other areas of the state. The only reason an animal within our county would be denied acceptance would be a lack of space. Every animal taken into a Save Our Strays shelter home would be cared for until it was adopted. Euthanasia is not practiced for population control. It is a procedure that is performed ONLY under the advise and supervision of a veterinarian and only if in the best interest of the animal. These animals do not live out their lives in cages. They live in the home of a loving foster parent who cares for that cat for the remainder of its life. Save Our Strays does not accept feral cats into foster homes because we ARE NOT a sanctuary. We do not have the resources, including volunteers and funds, to provide permanent, long term care for feral cats. As soon as there is available space in a shelter home, a cat (non-feral and friendly) is admitted to a foster home. 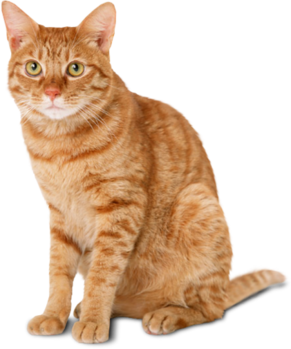 Those seeking our assistance, in most cases, must provide transportation of the cat to the veterinarian for the initial exam or in some cases, directly to the foster home. We do not have volunteers to run pick ups. Prior to adoption the cat is then given a thorough veterinary exam which includes a feline leukemia and FIV test (if old enough), spay/neuter surgery, a distemper vaccine and a rabies vaccine (if old enough). Every cat is also microchipped. All necessary medical treatment, including surgery, is provided. Once the animal is determined to be healthy, it is ready for adoption and posted on Petfinder and taken to one of several PetSmart stores in Pinellas County various Saturdays throughout the year. Cats are not left at stores. Since January 1995, Save Our Strays has medically assisted and adopted out 8500 cats and kittens. This has been possible through the many volunteers who give their time and love to care for these animals and to the generous contributors whose donations go directly to the medical treatment and care of the animals. We are proud of our accomplishments over the past 23 years and hope, with your support, to continue in our efforts to aid as many stray cats as possible. Thank you for helping us care for the homeless and often forgotten strays that live among us. Save Our Strays, Inc. supports Trap, Neuter and Release (TNR). If you need advice and live south of East Bay Drive in Pinellas county, call Sue at 727-504-2343. Prior to adoption, the prospective owner must complete an adoption contract and provide such information as address, home and work telephone numbers, driver’s license number and a photo ID, a copy of which will be attached to the contract. You must also agree to keep the cat inside. If you rent, you must provide proof that pets are allowed. The present adoption fee is $60.00 (please note this amount may change without notification). Save Our Strays has an adoption facility, Cat Haven, available by appointment only (please let us know which cat you wish to see when you contact for appointment) and also utilizes foster homes and space donated by local pet stores. To adopt a cat, contact us via e-mail at sos@saveourstraysinc.com or call 727-481-5091. You can also reach our intake coordinator at 727-481-5262.